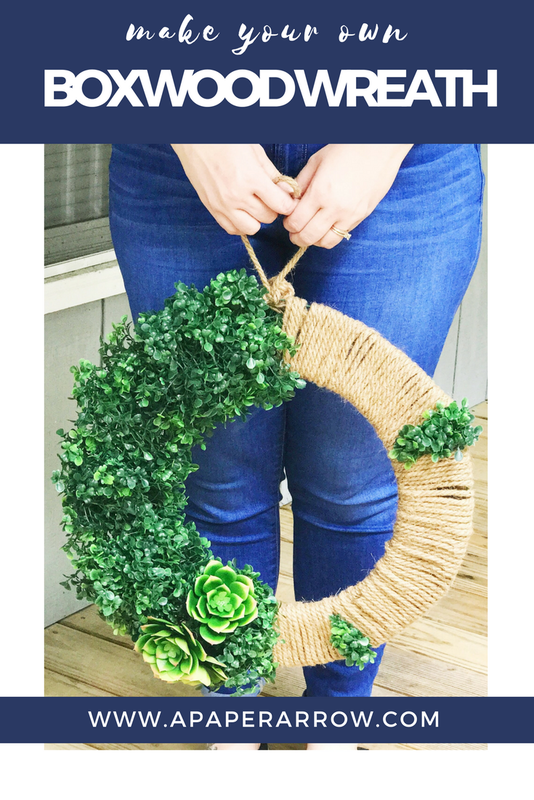 Summer is almost over, which means FALL IS COMING! 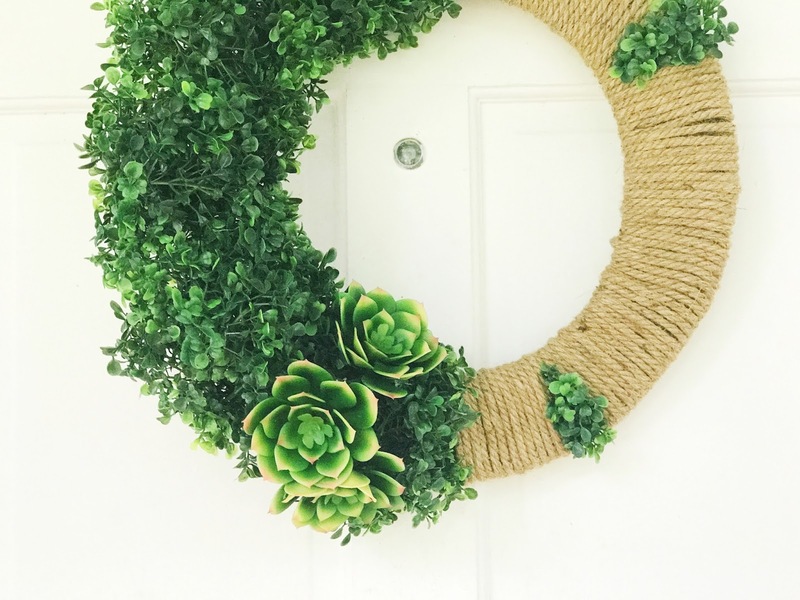 With just a little over a month until fall gets here, it's almost time to bring out pumpkins and all the fall decor. I personally can't wait. 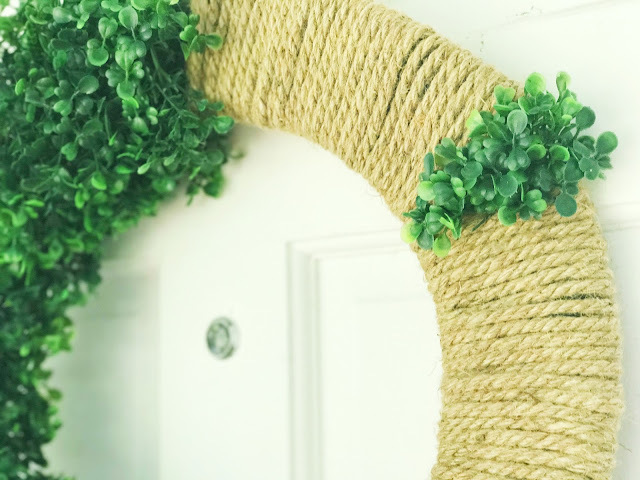 However, to not jump the gun, I wanted to start the transition from summer to fall with some decor that isn't too much of either season. Boxwood and succulents are really perfect decor year-round, throw in a little jute cording for a rustic look, and you've got yourself the perfect transitional look. Using boxwood, faux succulents, jute cording, and a few other materials, it's easier than sweet summer pie to make a wreath that'll get you through the rest of your summer days. Make sure to click on over to Oriental Trading for all your DIY home decor needs. 1. 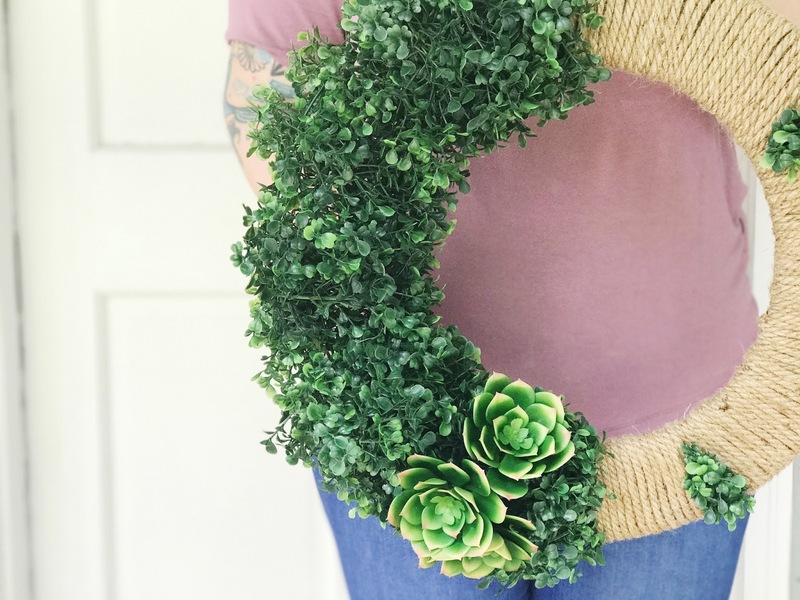 Carefully wrap the garland around the wreath frame. You want it to fill about half the frame. 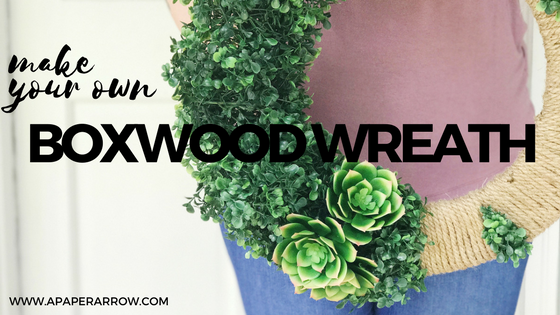 Some pieces of the boxwood will likely fall off as you wrap. Keep these for later! 2. Once you've got your garland wrapped entirely around the frame, tuck the ends through the frame and hot glue to secure. 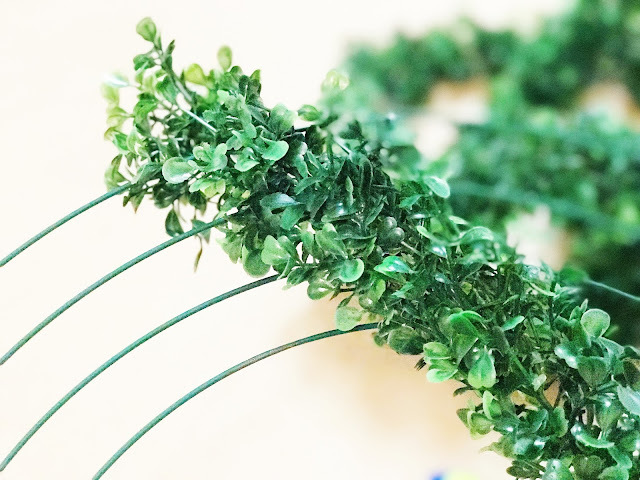 You may also want to sporadically hot glue the garland throughout to keep in place. 3. 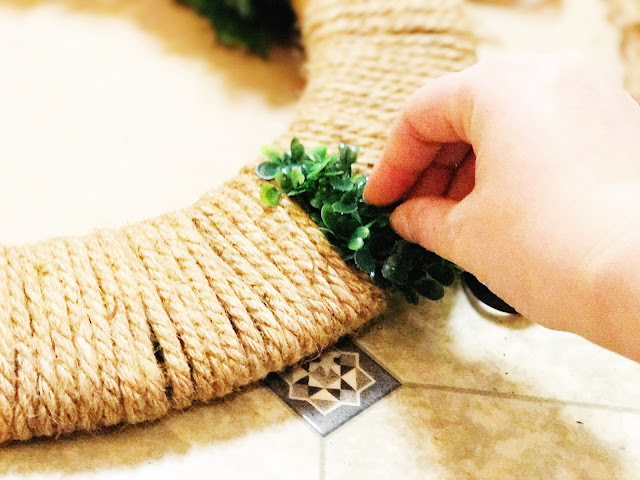 Wrap the end of the jute cording around the wreath frame just next to one end of the wrapped garland. 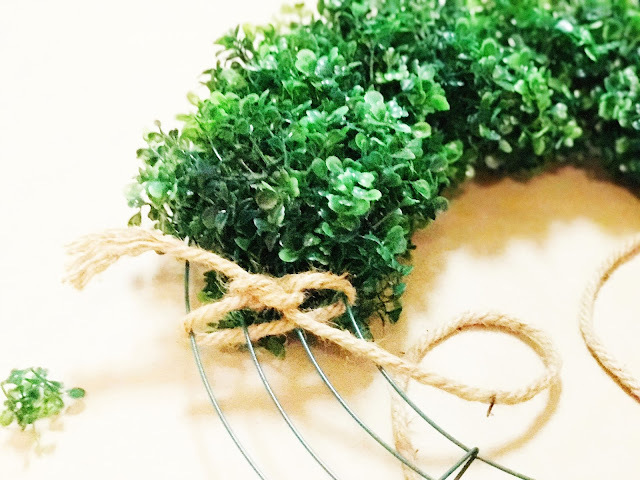 Tie the end in a knot to keep in place. 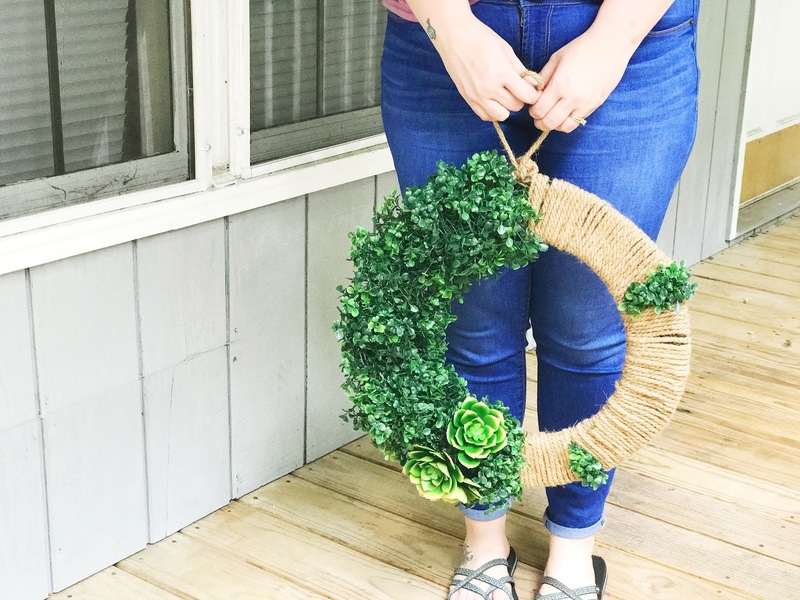 Wrap the cording all the way around the half of the wreath frame until half the frame is filled with boxwood and the other end is completely wrapped in cording. There will likely be spaces between some of the cording, which is okay! Tie off the other end of the cording. 4. Tuck the ends of the cording back into itself. Use hot glue to keep the cording in place, especially the end knots. 5. 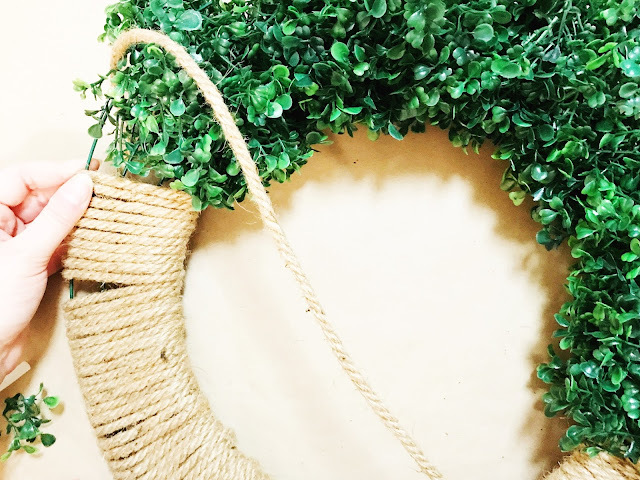 Once the full frame is covered (half boxwood, half jute cording), use the small pieces of boxwood to fill the holes throughout the wreath. 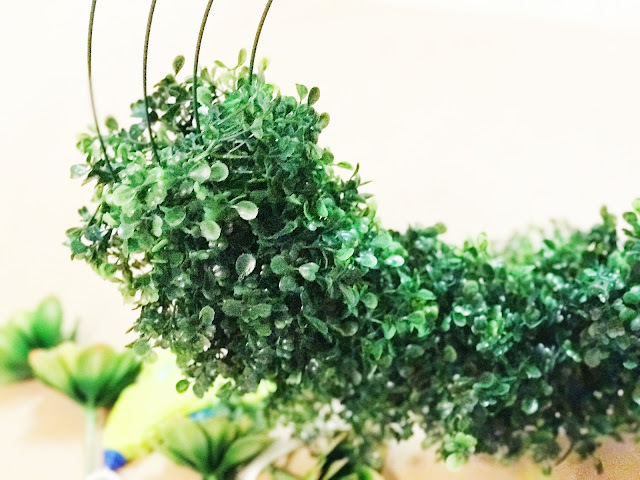 Push them through the frame, secure with hot glue. 6. Place a variety of faux succulents into any spaces within the boxwood. I used a cluster of three, but this is entire preference. 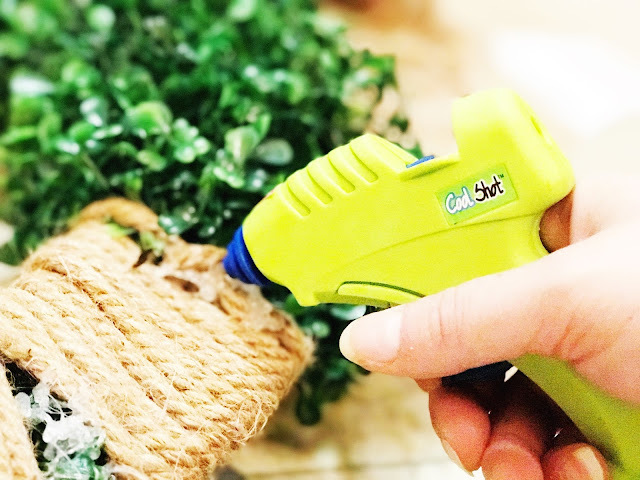 Again, use hot glue to keep the succulents in place. For extra hold, you may want to secure with floral wiring. 7. 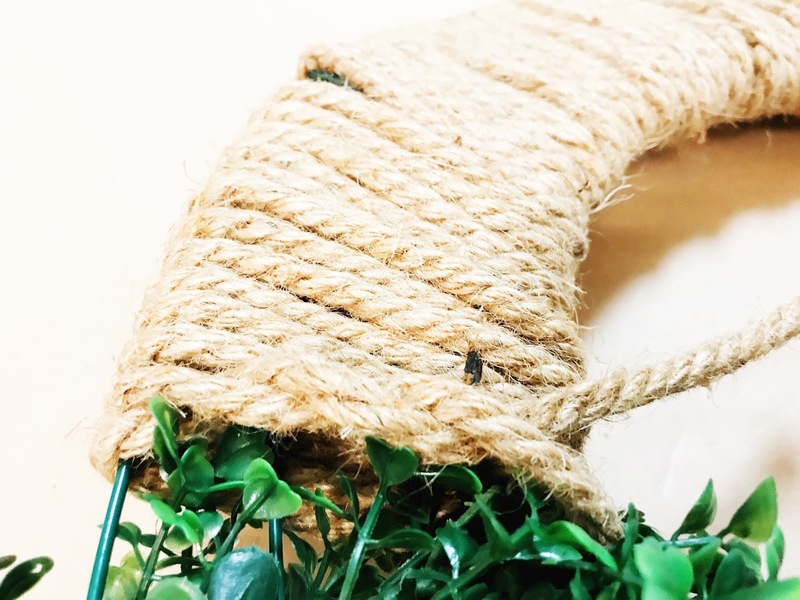 Using about a foot and half of jute cording, tie the end into a knot to make a circle of jute. 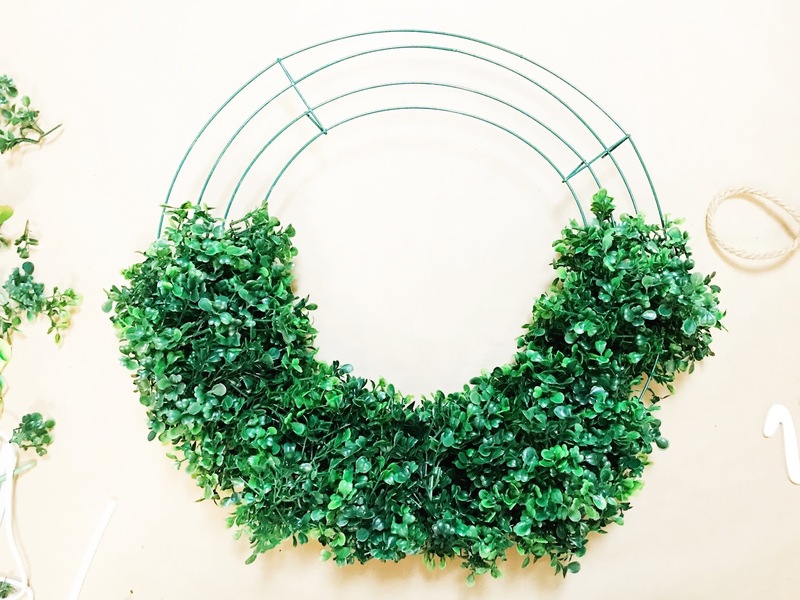 Loop it through the top of the wreath frame and back into itself to create a loop for hanging. 8. 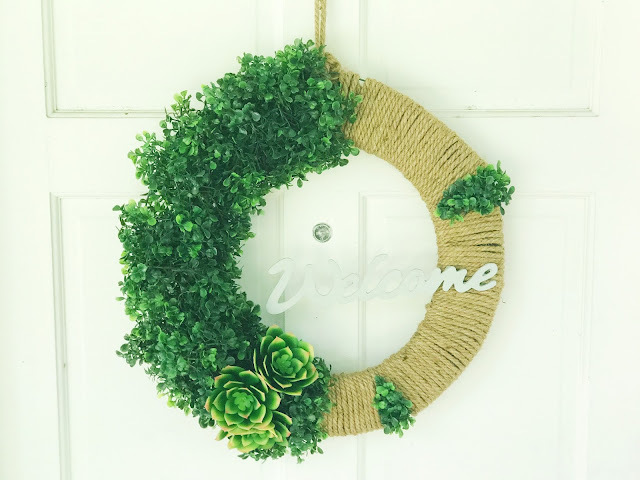 Optional: Paint or stain a wooden welcome sign, and hot glue into place. These items were provided free of charge from Oriental Trading in collaboration for this post. No further compensation was received. Any opinions, as always, are 100% my own. Yay! I'm so glad you love it! 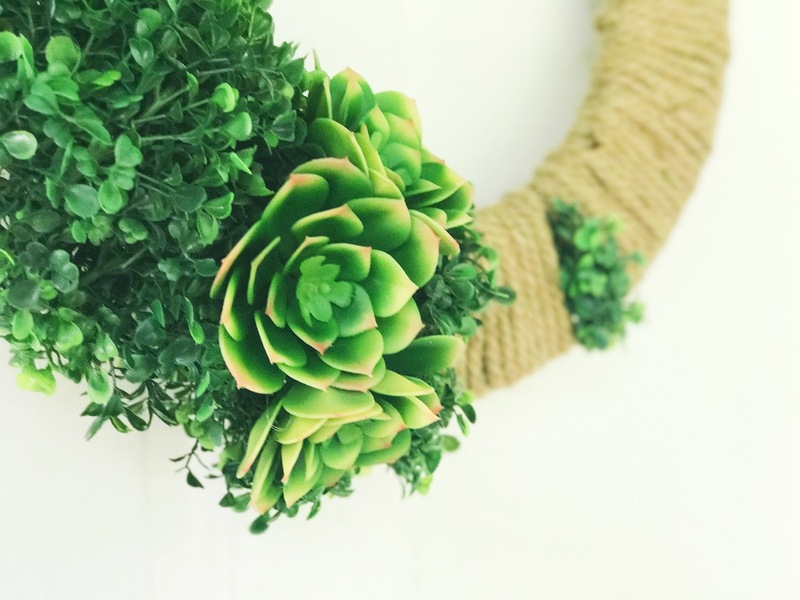 :) I've always been a huge fan of succulents, because my mom (she calls them chickens and hens! ).